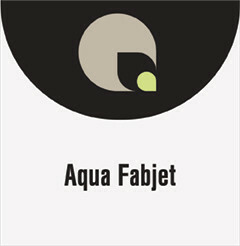 Aqua FabJet is a USA manufactured 5 mil matte white 100% polyester fabric with an ultra removable adhesive. Anti-fray for problem free cuts. Product is intended to be used as a decal or graphic on most interior flat, smooth and clean surfaces.